As we continue to be in shock of the passing of our beloved leader I wanted to write a short note about my experience with Blake and how blessed I feel to have met him. I have been with the company for 17 years and I am a Personal Stylist in the Merrick Park, Miami location. 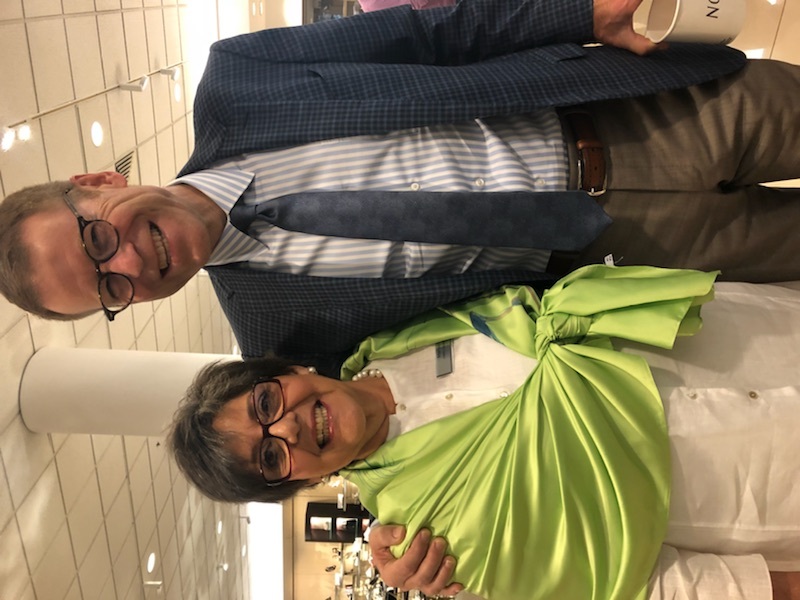 The entire time I have had the privilege to work at Nordstrom I always felt that Blake Nordstrom was the face of Nordstrom. When I first started I thought I would be at the company only several years. As time went on, however, I realized that one of the aspects I loved most about Nordstrom was the fact that it was a family company. In large part Blake represented this for me and in many ways it was the main reason why I stayed with the company for so many years. As a Personal Stylist I am always striving to do my best in any type of situation, even in the most challenging ones. This sense of wanting to continue to work hard and do my best work was in many ways his motto that motivated me along the way. Although I don’t work in the Seattle locations, and may actually work at one of the furthest locations from where he was based, I always felt his presence and his accessibility. I had the pleasure to exchange a few words with him when he came to visit us in the Miami store for the State of the Company meeting. He was so willing to hear my concerns in the most genuine way and was incredibly warm and friendly to all of us. You can see in the photo attached his great smile and zest for life and my joy to have had some moments to connect. It is almost impossible for me to think of Nordstrom without thinking of him as our solid and loving leader. He will be greatly missed by all who had the privilege to cross paths with him. As a person of faith I will be sending my prayers and love to the entire Nordstrom family and to all who knew him. This is a great loss for us all. I hope we continue to strive to do better and to bring joy to those around us the way he showed us in his life.